If you’ve already registered for the conference, just LOG IN to see them below. Entirely focused on content strategy and digital content processes in higher education, the 2019 Higher Ed Content Online Conference took place on April 17, 2019. It features a dozen of 10-minute sessions presented by higher ed professionals working in institutions like yours — with real content solutions to real higher ed problems. Want to watch the 2019 Conference sessions? If you previously registered and paid your registration fee, you can just log in now. Many factors influence the prospective student’s college choice. Students crave connection and authenticity with the institutions they will call home for the next four (or more) years. In this session, Dr. Corie Martin will outline a content plan that will show you how to reach prospective and first-year students on an emotional level when it counts.You’ll learn how a theme-based content calendar can guide your content team to tell stories that reach students and address their feelings to create a deeper connection with your school. How do you know your words, pictures or videos are successful? Numbers can help. Unfortunately, they can sometimes feel intimidating when you don’t work with them every day. 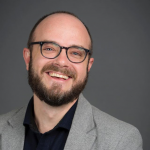 In this session, Aaron Baker will show you how you can know if your content meets a few commonly used objectives for higher ed content. You’ll get some practical tips to start measuring the performance of your content. Higher ed digital professionals can’t stop talking about accessibility and how important it is for our institutions to make online experiences that work well for users of all abilities. But, how do you create a culture across your campus in which accessibility matters to everyone responsible for any content available online? In this session, Emily Mayock will show us how her team is working to get every content producer on board to make accessible content a reality on the web, in emails, on social media and elsewhere. You’ll hear great lessons learned you can use if you haven’t tackled the accessible content challenge at your school yet. Generation Z wants our institutions to take the questions of diversity and inclusion seriously. Simply saying “We’re diverse!” with a few photos or statistics won’t cut it anymore. In this session, Jeanna Balreira will explain how Trinity University created its first Diversity and Inclusion Style Guide, a set of guidelines to help drive change. You’ll find out more about the collaborative process (involving the Diversity and Inclusion Office among others as well as feedback from audiences addressed in the guide) that led to this guide. You will also get access to a copy of the final document you can use as a launch pad to create your own. In this session, Jeff Bunch will tell us how simple SEO tactics and easy-to-implement content marketing made the university site rank at the top of the organic results for this key question. You’ll learn some great tips on how to use data in Google Analytics, Google Search Console, and Trends with an intentional content marketing strategy to conquer the search terms special to your school. Does your school still spend money to print marketing collaterals that most prospective students throw in the recycle bin as soon as they get them? In this case study, Janet Gillis will explain why and how the University of South Florida’s College of Engineering went (almost) all digital, saved $100,000, increased respect among prospective students and reduced carbon emissions. You’ll find out about the surprising lessons learned going digital all the way and the only collateral USF College of Engineering still prints. Colleges and universities are tailor-made for great story-telling podcasts. Your campus is full of experts, and your audience fits the “avid podcast listener” demographic to a T (educated, active on social media and successful). In this session, Billy will tell the story of Campbell University’s podcast, “Rhymes With Orange” launched in 2017. You’ll also learn what it takes to start a similar podcast at your school on a tight budget. Does your school suffer from institutional social media clutter? The decision to close a social media account is never easy, but it can be done. This social media tidying-up can lead to better audience engagement and content ideas! In this session, Rebecca Stapley will explain how closing the Alum Office accounts to integrate them into the institutional social media channels ended up sparking more engagement and joy. You’ll learn how this collaborative process with the Alum Office resulted in more engaging content about – and for – alums. While YouTube still doesn’t get a lot of attention in higher ed circles, prospective and current college students can’t get their eyes off of it. In this case study, Derek DuPont will share Ohio State’s new audience-centric YouTube strategy and its impact. You’ll also find out how redesigning your YouTube channel and adjusting the type of videos you post can make a huge difference for your audience — and your numbers. Research conducted in Antarctica on climate change could have an impact around the globe. When the public understands the work being done by researchers, they are more likely to encourage elected officials to support and fund this research. In this case study, Andrew Cassel will explain how social media has allowed to connect audiences to real science in new ways. You’ll also learn how it can be easily done – even if you are a world apart from your researchers. Visual content has always been powerful, but it has become key to engage college students. 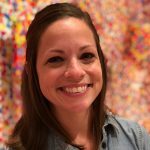 In this session, Kelly Bennett will explain how she used Instagram to collect and gather great user-generated content. You’ll also learn how you can place a call for video clips — and more — via Instagram to create fresh, engaging content in no time. GIFs engage audiences and help us better express ourselves. However, pop culture GIFs can raise issues if your audience doesn’t get the reference or the celebrity featured in a GIF gets entangled in a controversy. In this session, Jon-Stephen will show you how to create your own university branded GIFs and GIF stickers featured on your GIPHY channel. You’ll also learn how to plan a GIF creation shooting with your campus talent, whether it’s your President, another popular campus figure or your mascot. Dr. Corie Martin has served the WKU Division of Public Affairs since 2008. Her office oversees the WKU.edu website, major marketing initiatives, WKU’s award-winning social and interactive media programs, and institutional content strategies. Corie teaches social media marketing for the WKU Marketing Department and the MBA Program for the Gordon Ford College of Business. Her work has been featured in University Business Magazine, on Forbes.com, and she is a contributor to various blogs and e-pubs on the topic of social media and content best practices. Emily Mayock oversees online and internal communications at Case Western Reserve, including the university’s overall web presence, social media efforts, emergency communications, annual report and daily campuswide newsletter. Before joining University Marketing and Communications, she worked as an editor for national trade magazines. Emily earned her bachelor’s degree the E.W. Scripps School of Journalism at Ohio University and her MBA from the Weatherhead School of Management at Case Western Reserve. Jeanna Goodrich Balreira, mom to a ridiculously cute, red-headed baby boy and a 2008 Trinity University alumna, directs creative and editorial projects for Trinity’s Office of Strategic Communications and Marketing. Jeanna is also the editor of Trinity and IMPACT magazines. She appreciates a punny joke, sings in German, and is always looking for new, delicious places to eat. Jeff Bunch is Web Content Strategist and a writer for Gonzaga’s website, as part of the Marketing and Communications team. He writes for Gonzaga Magazine and is a core member of the university’s multi-platform storytellers’ team. A core team member on website redesign projects on the Sitecore platform, he is university lead on Google Analytics and SEO. He’s a member of the GU Emergency Communications teams and supports strategic communications for key initiatives. 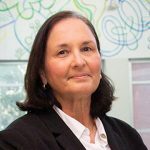 With more than 25 years of marketing and communications experience in diverse industries such as Human Resources Outsourcing, Franchising, Venture Capital and Publishing, Janet brought a broad base of knowledge from the business world to academia, when she created the first marketing and communications position at USF’s College of Engineering in 2009. Since then, she has built a dynamic department consisting of event planners, graphic designers, and marketing specialists that create integrated communications in support of the college’s strategic vision. Billy Liggett is the Director of News & Publications and is editor of Campbell University’s CASE Circle of Excellence Award-winning Campbell Magazine. Billy co-hosts the podcast Rhymes With Orange with Kate Stoneburner. 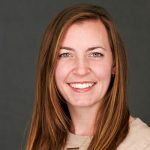 Rebecca Stapley is a passionately curious marketing and higher education professional with over 8 years of experience in enrollment and creative strategy, collaboration and communicating brand values across multiple platforms. She currently leads social media strategy and manages the Nazareth College social media & blogging team. This group of 13 hand-selected brand ambassadors creates authentic, creative, digital content focused on the student experience to tell the Nazareth College story. From multi-channel strategy to creative direction to producing pop-up concert activations and large-scale music festivals, Derek is made for unique opportunities that connect community with culture. During his nearly 4 years at The Ohio State University, his thought leadership launched him into positions in which he supports the University’s overall social media strategy and consults with departments and colleges across campus. When not at work, Derek can be found traveling far and wide with his wife. Andrew Cassel has been creating and curating social media content for the University of Alaska Fairbanks since 2011. Cassel is a five-time winner of Aurora Awards of Excellence from the Public Relations Society of America – Alaska including the 2018 Grand Award of Excellence. Cassel has also presented about social media content best practices to the Greater Fairbanks Chamber of Commerce, Alaska CHARR, Alaska Democrats, AlasConnect, Perseverance Theatre, as part of the Transportation Communicators webinar series, at the American Geophysical Union 2018 annual fall meeting and at the 2017 and 2018 Higher Ed Web annual conferences. Kelly Bennett scored her dream job right out of college when she accepted a position to launch the social media strategy at her alma mater. Building Miami University’s social media from the ground up, she has found great success by staying on top of trends in an ever-changing digital world. Miami University’s social media presence has been recognized by multiple organizations including Huffington Post and Mashable and Kelly has spoken at numerous national conferences as a thought leader in higher education. Kelly is an Ohio native who holds a Bachelor’s Degree in Communications and Marketing and a Graduate Certificate in Interactive Media Studies from Miami University. 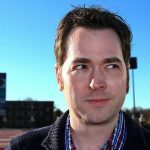 Jon-Stephen Stansel is a social media professional with almost a decade of experience managing and creating content for higher education, small business and government social media accounts. 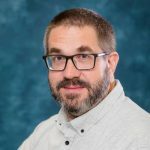 He is the digital media specialist for the University of Central Arkansas and has managed social media for Texas State University and the Texas Department of Transportation. In addition, he has taught courses in social media management and presented at many national and international conferences including High Ed Web, the International Congress of Technological Innovation in Buenos Aires, and the Association of International Educators. He holds a Bachelor’s degree in Radio and Television Production and a Master’s degree in English both from Arkansas State University. Should I get the Higher Ed Content Conference on-demand? A 1-year unlimited access to the recordings of the 2019 sessions via on-demand streaming on our website. Words and numbers are often opposed, but it doesn’t have to be that way – especially when it’s time to inform your content strategy. In this session, Aaron Baker will walk you through a few metrics that matter – data points that measure engagement with web, social, email and other digital content. You’ll learn how these numbers can be more actionable than vanity metrics (you know, the big numbers) via the example of the Harvard Gazette’s recent redesign. User experience and content are often treated as separate entities. Interfaces are designed without considering the content that will be part of the UI. 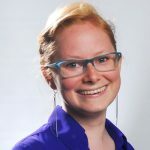 In this session, Conny Liegl will teach you strategies to help you become a better “UX content producer” by understanding and embracing usability principles in your content strategy. You’ll learn how to create a content model, work with proto-content, create content templates and establish content governance at your school – with user experience in mind. Managing web content with hundreds (or even dozens) of part-time content contributors is never easy in higher education. In this session, Tia Linder will share her experience herding more than 850 content contributors with access to the website content management system. You’ll learn some useful strategies – between daily communication and website policing – to enforce site-wide guidelines on your website. DIY editorial calendars – on the cheap! Managing a social editorial calendar across multiple departments and silos can become a real quest. There are tools to help, but they are too expensive for many schools. In this session, Jeff Stevens will explain how it’s possible to build your perfect editorial calendar with the help of a more affordable web database tool. You’ll see how you can manage an editorial calendar with multiple capabilities for workflows and viewing options to meet the needs of your communicators on campus. Got fabulous events planned in the months ahead and want to make sure your campus community is in attendance? In a noisy world, it’s very challenging to promote your events and build connections with the people you’re trying to reach. 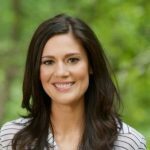 In this session, Danielle Sewell will share the 3-stage content strategy she has used with her small team for successful big and small campus events. You’ll learn what you can do to help people 1) show up 2) stay and feel involved 3) and even attend your next event. University news offices are some of the most powerful content-creating machines in higher education, and social media craves new content all the time. In this session, Sonja Likness Foust will teach you how to integrate news and social media processes to create story packages that work perfectly for your different social media channels. You’ll also learn some useful tips to adopt a social media first approach to content development. Engaging international students from afar isn’t easy. Social media and web content are key to success when visiting campus is off the table. In this session, Carol Duan, will explain how she has used a content matrix to successfully engage Chinese students and further Boston University’s mission to be “accessible to all.” You’ll also learn more about the process involved to develop your own content matrix for international students. Everyone loves a good day-in-the-life-style story – the perfect type of content for Snapchat and Instagram’s Story features. But when your hard work is bound to disappear after 24 hours, how can you ensure greater and longer impact? In this session, Amanda Waite will show you how to plan, organize, share and find new life for these stories. You’ll learn some useful tips to extend the reach of your content by reimagining it across multiple channels, from web to social to print. There’s so much content shared on social media that it is increasingly difficult to grab people’s attention. Fortunately, animated GIFs can help put THEIR eyes on YOUR content – and even entice them to share it! In this session, Andrew Cassel will share all his GIF secrets: cool tools and useful tips to make your own GIFs. You will also learn more about some of the pitfalls of using GIFs. Looking for a tool that can answer your audience’s burning questions? Instagram Highlights could be the perfect solution to your problem. Instagram Stories have become a powerful engagement tool for Higher Ed. Instagram Highlights – permanent Stories – can act as 24-7 guides for prospective and current students. In this session, Krista Boniface will show how to locate a common issue from your community and craft an engaging Story that directs traffic to specific web content to address it. You’ll learn how to build a selection of authoritative and useful Instagram Highlights for your account. Providing accessible online content isn’t a nice-to-have in higher education. While universities and colleges rely more and more on social media, there isn’t much guidance on how to “do accessibility” right on social. In this session, Erika Forsack will share ways to make your social media content accessible – despite the fact that some platforms haven’t caught up with basic accessibility principles. You’ll learn how to use image descriptions, video captioning, the (few) built-in features and other tips to make sure your social media content is accessible to all. Social media live-streaming is HOT, because it is a big opportunity to produce very engaging content. But, how do you choose between the plethora of social live-streaming options? In this session, Lindsay Nyquist will give an overview of the different platforms for “going live” and guide you to choose the best fit for your content. You’ll also learn more about formal (multi-camera + Tricaster) and informal (iPhone) alternatives to live stream as well as tips, tricks, and hacks to “go live” – even without any previous experience. When you think of SEO, mechanical content may come to mind. You know, the kind of content that is heavy on keywords and light on emotion. But, what if brand storytelling could be more effective to approach SEO? In this session, Joshua Dodson will explain how storytelling can have a deep impact on SEO rankings. You’ll see the data and learn how you can start using storytelling with SEO in mind at your school. Have you ever published the fruit of countless hours of research, interviewing and editing, only to watch your baby blip momentarily in the social media spotlight before sinking into the archival abyss? When you divide the number of readers a story gets by the hours of staff time spent producing it, do you die a little inside? In this session, Lydia Anthony will share how her team redesigned their storytelling content strategy to tap into existing content production channels and maximize story exposure. You will also hear how to increase your staff time ROI and unleash campus “power-sharers” to make each of your stories earn its keep. Sometimes, your popular content isn’t what you thought it would be. After analyzing the top 100 landing pages on its website, Ball State Discovered some surprising winners: pages developed by their Career Center. In this session, Art Hill will explain how BSU used this discovery to make these silent winners work harder for student recruiting and success. You’ll also learn how content, SEO and Analytics can help break silos, uniting team members behind a common goal. How do you get your university community involved in a digital-heavy marketing campaign targeted at 15-17 yr. olds? In this session, Kelsey Seymour will share a case study about the internal content marketing strategy behind UNB’s #OnlyHere campaign. You’ll find out how the internal campaign was designed and conducted to help rally everybody on campus to pitch in. In higher education, we value diversity and inclusivity – but do our websites reflect these standards? Often unconscious, wrong decisions on copy and multimedia content can create a hostile virtual environment to underrepresented groups. When people don’t feel welcome, they don’t apply. In this session, Conny Liegl will help you identify some of the common pitfalls. You will also hear about easy solutions to improve your school’s presence on the Web and social media. If you’re not learning about your users, you can’t produce great content that meet their needs. And if you’re not testing your content, you won’t know if you’re meeting goals. User research and usability testing don’t have to require formal lab setups or huge investments of time. In this session, Amy Grace Wells will explain how an array of online services, from free to budget-friendly, makes it accessible for everyone. You will also hear about the best online tools for higher ed and key tips to ensure success in user testing. A content template is a powerful tool for creating and editing digital and web content types that are repeated regularly. The best templates specify what needs to be included and how it needs to look, while still maintaining a degree of flexibility. In this session, Sofia Tokar will show you how a content template streamlined the production of The Compost, a monthly e-newsletter produced for the University of Rochester’s Green Reps Program, an employee-led initiative to help the university go green. You will also learn what you need to know to create better content templates. Endlessly creating content for social and web is a constant struggle in higher education. Student workers provide a quick solution, but come with their own set of complications. How do you maintain brand voice, proper grammar or spelling, and appropriate content when relying on 21 year olds? In this session, Lindsay Nyquist will explain how thorough screening, regular meetings, and technology solutions can turn your student team into a content generation machine. You will learn what you need to set up your own student worker management process – from hiring through graduation. Who are the Snapchat experts on college campuses? Social media students ambassadors, of course! 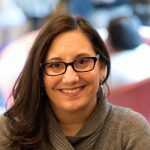 In this session, one of them, Liz Miller will share how she spent the last year contributing to content strategy development for the St. Lawrence University’s Snapchat account. You will also learn how the social media student team (managed by Meg Keniston) pulls together content that educates but also engages their target audiences. How do you get students to attend a big – but optional – event celebrating your school’s 150th anniversary? Food and fun can help, but you have to get the word out first. The University of New Hampshire managed to draw student crowds last Fall to kick off its 150th anniversary and a new fundraising campaign. In this session, Jason Boucher will explain how UNH used Snapchat and geofilters to attract a big student crowd at the event. You will learn how you can do it at your school – with a limited budget for the filters. Gone are the days of posting a simple social post with text and a link or developing videos without thinking of social media. West Virginia University has focused on “social video” and seen a gigantic jump in numbers as a result. In this session, Tony Dobies will share what makes successful short, social videos. You will also learn more about WVU recipe to create your own social media videos without a big team or an external agency. Higher education is a notoriously decentralized environment — and one of the most difficult to reign in when it’s time to change your school’s content culture. In this session, Amy Grace Wells, will show you how the University of South Carolina was able to implement change and bring some harmony across content teams by nesting key university messages, attributes and values. You’ll also learn how you can use content strategy nesting tactics at your school. How much content is enough content? Many of our higher ed websites have become larger than originally intended, which has unanticipated consequences. In this session, Avalee Harlton will explain how to spot what content can be culled, whether it should be culled, and why it’s important to occasionally put your website ‘on a diet’. What happens when you combine two previously separate paths: Academic programs and Departments into one location? A little chaos and a lot of broken links. In the fight between decentralization and centralization, issues of duplication and IA standardization are front and center. In this case study, Zoe Barker will explain how DePaul University took a live college site’s biggest content problem head-on. She will share lessons learned about content auditing, mitigating issues when making large-scale changes, and how this project helped spread the word on governance at her institution. They say art is never finished, only abandoned. The same is true for a lot of web content. Keeping our content fresh and up-to-date is challenging, especially when time and resources are limited. So how can you revive content that has been neglected for months or even years? In this session, Sofia Tokar will take you through the five-step revival of the University of Rochester’s Arts, Sciences and Engineering research webpages. You will learn how to use content tools (including web writing guidelines, editorial calendars, and content templates) to help revitalize and manage your own website’s content. “Don’t post your thesis on the home page.” We all know it and have been repeating this refrain for years. Yet, short content is not always the best answer. There is a place for both short and long-form content on your website. In this session, Joshua Dodson will discuss the importance of long-form content for search engine optimization. You also learn what type of long-form content works and why. Board members love seeing your outdoor ads. Vice presidents comment on seeing your banner ad on their favorite site. Deans seem to have endless requests for print brochures. But shrinking print budgets, banner blindness, and ad-blockers are taking their toll on how much of your intended audience receive your message. In this case study about a content initiative around the hero of the movie Bridge of Spies, Donna Lehmann will demonstrate why content marketing can save the day. You will also find out how to position content marketing in your communications strategy — especially at the executive level — and how to ensure you get the metrics needed to make the case. When the UN Conference for Climate Change (#COP21) took place last December in Paris, the University of Sheffield in the UK saw an opportunity perfectly aligned with one of its institutional strategic priorities: sustainability. In this case study, Steve Thompson will explain how his institution was able to raise its profile and enhance its reputation through both traditional and digital media. You’ll also learn how using a mix of content formats and media, you can help promote research stories both internally and externally. We all know why shouldn’t ignore negative comments on social media. But what about those positive (or neutral) posts? In this session, Steve Roulier will explain why responding to these positive messages may be even more critical to brand equity. He will also share some best practices and tips to help you conduct your own positive post campaign. Video storytelling has proven to be a key piece of any school’s marketing and communication content strategy. But, you can’t just “make a video.” You need to make the *right* video: one that aligns your institution’s messaging with your potential audiences. In this session, Ravi Jain will walk you through the creative strategy driving his own work for Boston College, from his 60 second mini-documentary “Boston College Minute” series to recent immersive 360 video experiences. Snapchat Takeovers: Showing college life through the eyes of the students! Student Takeovers on Instagram are popular and very successful in higher education. But, can they work on SnapChat? In this case study, Kelly Bennett will explain how Miami University students are showing the college experience through their eyes via the official university Snapchat account. You’ll find out why these “student takeovers” increased Snapchat story views by 40% in six weeks and have resulted in intriguing content for prospective students, current students, and alumni. GIFs started as a bitmap image format but have grown to describe a new visual language on the web. How can higher ed institutions take advantage of this evolving format? In this session, Mike Petroff will explain how Harvard University uses GIFs to support news, social engagement, and more. You will also get some tips and tools to use GIFs at your school. Infographics are a fantastic tool for recruiting new students, engaging the ones you already have, connecting with alumni and donors, and telling your institution’s story with greater impact. In this session, Cameron Pegg will share different types of infographics and help you understand the data that underpins them. You will also learn more about the organizational partnerships that allow great visual storytelling to occur and methods for sharing and promoting this content effectively. When approaching a new site or site redesign, the task of writing can be overlooked as the focus is put on functionality, architecture, and design. But anyone who has scrambled to put copy together knows that writing can be some of the most labor intensive work. Users might scan web pages, but words still matter. A lot. In this session, Donna Lehmann will share lessons learned while while overseeing the writing of the newly redesigned fordham.edu. You’ll learn how to help your writers and manage the writing part of your web projects. Bath University’s website relies on an agile approach to content, a method most often used by web teams to develop applications or websites. 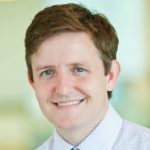 In this session, Richard Prowse will tell you more about the “agile way.” He will also share lessons learned on user needs, keeping publishers happy and community building to successfully deliver decentralised publishing. Would you say that your faculty members are positive “ambassadors” for your school? Are they blogging, tweeting and doing media interviews on a regular basis? Are they creating interesting content providing a unique view of your school to your targeted audiences? In this session, Kevin Anselmo will tell you how you can mobilize your army of professors. You’ll learn keys to motivate and train faculty members, so they create content that works for your school. By newsjacking a storyline in “Game of Thrones”, Longwood University gained massive exposure not just through its own social media accounts but also The Huffington Post, The Atlantic and The Wall Street Journal. In this case study, Dr. Mary Jo Stockton will explain how she worked with history professor Dr. Steven Isaac to produce content related to the episode “The Mountain and the Viper.” You’ll learn how her department used content, social media and advertising to make this campaign a success. Neuromarketing leverages our psychology to motivate us to take action. The techniques are simple and easy to implement: you might already use them in your recruiting web content. In this session, David Anderson will tell you more about these 7 techniques. You’ll learn how to use them effectively in your higher ed recruiting efforts. Prospective students have a keen eye for distinguishing reality from script. Videos have to be authentic, and students need to know what it’s like to live and study on your campus. In this case study, Lindsay Nyquist will explain how Fort Lewis College has recently launched 3 video series featuring students and faculty members showcasing the reality of campus life. You’ll also learn useful tips to launch your own program and promote your videos on social media. Reaching students in a Snap: How to use Snapchat to its fullest potential! We’ve all heard the statistic that 77% of college students use Snapchat daily. Could SnapChat be the next big content delivery platform? In this session, Kelly Bennett will explain how SnapChat fits in the content ecosystem at her school. You’ll also learn some tips to run contests, use Snapchat to keep students informed and how to use third party tools to make your life easier. Commencement is such an important moment in the lives of our students. There’s a lot of planning that goes into the event itself, and the communication efforts around it should be no different. 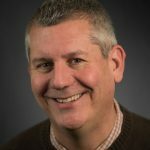 In this session, Tony Dobies will share some of the most successful content strategies implemented for commencement at WVU. He will also share tips to planning similar, dynamic Commencement campaigns on your campus. Data-driven Content: Use your prospective student and alumni data to create connections. So you’ve heard about big data, but how do you use it to drive your content? How do you come up with this specific content that will resonate with today’s students, used to “narrowcast” messages on social media and elsewhere? In this session, Rob Pasquinucci will describe how to use incoming student data (interests, likes, passions) for true 1:1 marketing. You will also learn how to hack your CRM to get alumni data to connect with students more effectively. Content can serve several purposes. With enough planning, your higher ed content can hit all the right notes to embody your brand, showcase thought leadership and capture the attention of your target audience. In this session, Valerie Fox will explain how Bentley University built a brand-centric content platform (bentley.edu/prepared) that engages key audiences and yields measurable impact. She will also share some lessons learned in content creation since the beginning of this project. The anatomy of an award winning content strategy. Content is gold to reach, engage and retain current and prospective students. In July 2014, the University of Southern Queensland launched a social hub featuring content about college life and life around college from different channels. In this case study, Rebecca McSwiney will explain how this award-winning website was planned and launched. She will also share lessons learned from this game-changing approach to content for students. How do you identify great stories about your college or university? You can often find amazing stories right in front of you, if you know where to look. In this session, Joshua Dodson will discuss how his school used a new approach to identify strong and authentic institutional stories and brand advocates for EKU. He will share lessons learned in this project relying on behavioral targeting, a webform, and analytics tracking to identify strong stories. This online conference, available on-demand, offers 13 focused sessions of 10 minutes each and a general session Q&A at the end. Is your higher ed digital content mobile, shareable, and targeted to specific audiences? If it isn’t yet, it should to make the greatest impact. Schools can leverage best practices in content strategy, editorial calendars, web design and UX, and social networking to now reach a wide audience. But, what’s the best way to standardize the process for extending the life our of your digital content? In this session, Mike Petroff will walk you through strategies you can quickly employ to take advantage of deeply embedded social networks while measuring results. We all want our content to “go viral”, but what does that actually mean in a higher education context, and how do you do it? In this session, Cameron Pegg will discuss strategies to encourage social sharing including newsjacking and the use of infographics as part of a holistic approach to viral content. Have content strategy defined? Check. Know the kinds of content that need to be generated and your institution’s distribution channels? Check. Have useful content in the pipeline? Not yet? In this session, Mandy Potts will explain how to find the stories that make your university distinct. She will share how the University of Wisconsin Oshkosh finds content with the help of “Story Champions,” the people who know the brand—and the stories—the best: campus communicator-types. You will learn how to find stories, manage an editorial calendar and get stories written, edited and posted. Finding and producing relevant content on a regular basis is hard when you can’t hire armies of writers. In this session, David May will explain how Chapman University leveraged the web to empower its campus community to share great stories and good news by launching an updated blog network and a new homepage in February 2014. He will also tell you how both tools combined give a voice to students, faculty, staff or alums and allow them to share their stories. You will learn a few tips to get started with a similar initiative at your school. Preparing to launch a web redesign with a content management system implementation at your school? It’s never really about the tool but all about the content AND people. With changing business processes, battling cynics, and reigning in independent school and department web editors also on the agenda, buy-in on your campus is the only way to be successful. In this session, Donna Lehmann will help you get the necessary buy-in needed for these kinds of large-scale content projects. You will learn winning strategies for bringing all the disparate players on board including crafting the elevator speech, perfecting the road show, practicing transparency, creating community, and educating the masses. Website content is often messy in higher education. That’s what makes content strategy so difficult but also so important. In this session, Klinita Burke will share the approach, progress and challenges faced while addressing content issues. You will learn in this case study how content templates, web writing guidelines, training and content maintenance plans can help you fix content for good on your school’s website. A responsive website is much more than a design that can adapt to any connected devices. In this session, Marcy Gineris will tell you how EMU tackled the “responsive content” challenge before the launch of their responsive website and ever since. You’ll find out about what she learned during the process and will get some practical tips on how to handle content strategy to go responsive with your school website. Did you know that providing a real-time social media experience during events can deepen fan engagement and quickens brand loyalty? In this session, Chris Syme will explain how to make any event a fan experience regardless if fans are on-site or attending virtually. You will find out about the main differences between Reactive PR (promoting events ahead of time and reporting on them after in a traditional journalism style) and Proactive PR (using social media to give a real-time fan experience). You will also learn how to implement Proactive PR for your own events. Most of your faculty have deep expertise across a wide variety of news topics. Having a deep bench of experts and using them to develop original content in a real-time, always on environment gives higher ed stories greater relevance and often garners the attention of traditional media. In this session, Rob Pasquinucci will share best practices for developing a faculty experts list and monitoring the news for opportunities to leverage the knowledge of faculty to get your institution in the day’s news. How can you deliver just-in-time content to answer new students’ burning questions and create excitement about the new academic year? Higher Ed institutions are big organizations and new students often don’t know where or how to seek information. In this case study, you will find out how Algonquin College listened and engaged with its incoming cohort to anticipate the potential challenges, questions, and barriers to student success leading up to and during the critical first few weeks of the Fall 2013 term. You will learn how aligning content with key questions, academic dates, and departmental activities, can alleviate some of the new students’ stress, but also solidify your social media accounts as engaged, attentive, and helpful channels for students to connect with. College magazines are usually where you can find your school’s best stories – stories too good to be shared only on paper. Along with a redesign of the print magazine, Elizabethtown College recently launched an online edition. In this session, Donna Talarico will share the new editorial model used for this multiplatform publication. You will learn how you can plan content for the magazine with print, web and multimedia in mind, promote this content and re-purpose it elsewhere. Photos are all too often an afterthought in web content. 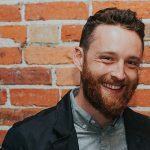 In this session, David Anderson will share simple, key pointers for taking the right photos for your website: effective and engaging photos that connect with your readers and support your content. You don’t need expensive equipment or years of experience to take great shots. You’ll learn how to take more strategic photos in a snap. Want to watch the Higher Ed Content Conference? The conference format is useful, easy, and fun because it allows people to come and go; get up and eat; check their email and phones; discuss the concepts immediately; and interact both with the speakers and with one another. It's great to hear about content strategy and tactics from other higher ed institutions. So often webinars and conferences are focused on those working in the corporate world, and while it's nice to see what others outside of our industry are doing, learning from your higher ed peers (especially those facing similar resource constraints) is incredibly valuable. We got some very useful suggestions for tools, tricks, and ways to communicate with internal stakeholders. I learned a lot of relevant information to my daily role as a communicator in higher ed. The presentations are concise and easy to digest with great key points that can be taken away and implemented immediately. I think overall the conference was really well done. The variety of topics covered allowed for members of our team to jump in and out of the presentations all day. The length of each presentation was perfect and kept the pace moving throughout the day. I loved the 10-minute format of the presentations; it kept me interested throughout the whole day. I learned a few great takeaways and started having some conversations with my colleagues that I think will turn into successful marketing tactics for our institution! The length of the presentations is great and you walk away with good ideas and concepts to research further for implementation. I really enjoyed the format of the conference. As adult learners, I think we can all admit that the average attention span is only so long. The quick presentations helped speakers focus on the key ideas they wanted to communicate, allowing those of us in attendance to absorb the content and learn some excellent tips and strategies. I enjoyed hearing experiences of experts throughout the country, which sparked conversations of those that viewed the conference as a group. The conference provided a variety of information related to various marketing/media best practices in higher education. I enjoyed learning from representatives across a broad spectrum of institutions and evaluating our practices in relation to the information that was presented. The #HECO18 conference provided tons of great, feasible ideas that our team can experiment with in the coming academic year. It was a good overview of cutting edge tactics and more general knowledge. Very satisfied. I liked the format - short sessions, time to reflect and a few breaks in between. And to top it all off, relevant takeaways to try the next day. Great opportunity for short, targeted professional development that can have a real impact on our offerings. The conference contained some very useful information that was delivered by knowledgeable presenters. The presentations led to some interesting discussions. The content was engaging and relevant to my job. It was great! Our team was inspired to create new content and use valuable data. It was very engaging and interesting to see how different institutions are using the strategies for reaching out to more students. The fast sessions were great, straight to the point! This conference provided a variety of tips and examples on how to improve the overall content strategy for my campus, addressing web, email and social and several mediums of content. Great! The quality of this online conference is very high. It's always nice to have an in-person conference, but this online experience is high-quality. Great job and great speakers! Enjoyed the variety of sessions and the opportunity to ask questions and also discuss the topics within our team. Highly packed, multifaceted, concentrated experience! I got a lot out of it! Higher Ed Experts online conferences are a great way to offer networking and professional development opportunities to faculty, staff, and student employees who might otherwise be unable to participate in an in-person conference of this type and quality. This was my first time attending the conference but it is one I will take part in each year. It has provided so much useful information and I look forward to implementing some of these ideas at my institution. The speed of the first session was a little overwhelming at first but as we got used to the format it was helpful to have the condensed presentations instead of sitting through hours of fluff at a conference. Ten-minute presentations are very digestable, useful, and keep it interesting. The format of the conference was spot on. It provides you with just enough information to make an impression but not enough information to leave you overwhelmed. Well designed and presented; with specific take aways that can be implemented fairly easily. I've enjoyed hearing from people who do the kind of work I do and that I aspire to do in the quiet of my own office. This is a good way to share expertise/info when travelling to a conference is time or cost-prohibitive. Although delivery was all online, the information conveyed was absolutely as valuable and as actionable as an in-person conference. The only thing missing was connection and collaboration over dinner and cocktails at the day's end. Very worthwhile. It was great for generating actionable ideas and touching base with best practices. Loved the breaks in between sessions to brainstorm. The conference flowed well and the information was useful. I rated the "least relevant" only because it doesn't apply much to our particular situation, but all of the presentations were done well. Excellent. Very knowledgeable, useful information that I can apply at our school. I came away from this conference inspired and excited to put some great new ideas to work! Always look forward to this conference because it makes us feel more connected to a world of higher ed professionals who are dealing with the same things we are and often coming up with great solutions or giving us new ideas. It is often helpful and sometimes downright inspiring. Cameron Pegg made us want to go create really beautiful and interesting infographics, for instance. And it is really, really great to be able to do it all in about half a day with no travel costs. As a web content strategist, I'm always looking for new ideas to share with our content providers. This conference offered much more! This was an engaging and informative session. The short-talk format was not superficial, and created an opportunity to hear a broader range of ideas, from a wide range of institutions. It's an opportunity to hear about your problems from a different point of view. Quality content specific to higher ed is hard to find, but not here. I love the quick pace and the variety of topics covered in this conference. It keeps me interested and engaged so that I come out of it with a number of new, implementable ideas. We heard from communicators in higher education about some of their triumphs and best practices in a range of areas, from social media to long-form writing. The practical tips and real-world examples were excellent. It was a very educational and fun way to spend the middle of my day. I learned a lot and was able to interact with my peers on campus. Informative and motivating; recommended for anyone needing a shot in the arm to jumpstart their passion and remember why we do what we do. Overall I had a good experience and took useful notes that I will follow up on. Overall good experience from format to the speakers. Because of the length of the presentations I was able to get a broad spectrum of information in a short amount of time which was very beneficial. I got something out of all the presentations and didn't have to choose between them! I learned valuable information from other institutions going through the exact same situations we face. We found this format extremely useful for 4 staff members with varying job functions. It was quick, relevant, engaging, and fun and interactive, too. This conference provided a great overview of a wide variety of content related information in a very concise format - a very good use of our time! I thought it had a wealth of information and I can't wait to share things with my team. It was informative and helpful to hear and see firsthand experiences and lessons learned. The quick-hit format of the Higher Ed Content Conference allowed us to hear numerous great ideas from several different perspectives in a very short time frame. Our team of communicators, web designers and writers found the speakers engaging and the topics quite relevant. I gleaned a lot of new insights about what content strategies are effective and especially enjoyed the insights into the connection between popular trends and courseware. The deep dives into case studies were also very interesting. Loved the overall structure and learned a lot. The three hours goes by quickly because the presentations are short, focused and filled with great nuggets of wisdom. This was my first Higher Ed Experts conference, and I am very pleased. The conference provided quite a bit of useful insight and helpful information that I will be able to implement in the web content and social media strategy of my school. Loved the 10 minute format! Very refreshing. It gave a great range of topics and diversity in presenters (different countries, different types of institutions). It was well-organized and easy to set up on our end. Great job! Very interesting and informative. Provided much food for thought, and for exploring new approaches and methodologies. The topics were great and very relevant to what we have been discussing in our office related to engagement and content. Excellent content, excellent presentations, and a good value. My team and I feel inspired and we are excited to try some new ideas.